"Microsoft has narrowed down the date when it starts rolling out Windows Phone 7â€‹'s Mango update, contacts slipped on Thursday. Both an upgrade for existing owners as well as new phones are poised to be available as soon as September 1." That's quite a bit sooner than I expected - and it's really to Microsoft's credit that they're moving with such urgency. not long to go now people - September 1 is barely two weeks away (and change). Woot! I am actually looking forward to this update. But, from what I understand, before Mango hits end users, it needs to be approved by carriers, at least in USA, and that can take infinite time. Oh great, an unofficial rumor from an unsubstantiated source. In a week it will be 'a MS spokesman said', and in two weeks it will be 'MS lied to us again'. microsoft should make massive ads after mango release. 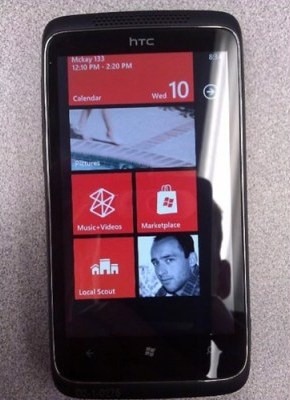 i love wp7 because the design doesnt look like a nerdy desktop like all the other os out there. but please m$ make some nice apps. The September 1st date has been refuted by the head of the Windows Phone team. It seemed a little soon after RTM, as it wouldn't have given handset makers and carriers any real time to do any testing.